The initial public offer (IPO) of India’s second largest asset management company, HDFC Asset Management Company Ltd (HDFC AMC), is getting opened for subscription from today, July 25. HDFC AMC is the 56.97% subsidiary of HDFC Limited, while HDFC’s JV partner Standard Life owns around 37.98% in the company. This IPO is a 100% offer for sale (OFS) of around 2.55 crore equity shares by these promoters. The company has fixed its price band in the range of Rs. 1,095-1,100 a share and no discount has been offered to the retail investors. The offer would constitute 12.01% of the company’s post-offer paid-up equity share capital. The issue will remain open for the next three days to close on July 27. Size of the Issue – This IPO is a 100% offer for sale (OFS) of 2,54,57,555 shares by the JV partners, HDFC Limited and Standard Life. This makes it a Rs. 2,800 crore IPO at the upper end of the price band i.e. Rs. 1,100. HDFC Limited and Standard Life are selling 85,92,970 and 1,68,64,585 of their shares respectively in this IPO. Post this IPO, HDFC will hold 52.92% stake and Standard Life will have 30.03% stake in the company. Price Band – HDFC AMC has fixed its IPO price band to be between Rs. 1,095-1,100 a share and the company has decided not to offer any discount to the retail investors. 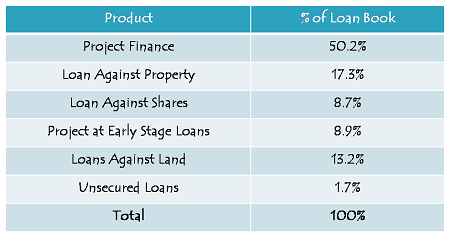 Retail Allocation – 35% of the issue has been reserved for the retail individual investors (RIIs), 15% for the non-institutional investors (NIIs) and the remaining 50% shares will be allocated to the qualified institutional buyers (QIBs). No discount for Retail Investors or Employees – The company has decided not to offer any discount to any of its investors or to its employees either. Bid Lot Size & Minimum Investment – Investors need to bid for a minimum of 13 shares in this offer and in multiples of 13 shares thereafter. So, a retail investor would be required to invest a minimum of Rs. 14,300 at the upper end of the price band and Rs. 14,235 at the lower end of the price band. Maximum Investment – Individual investors investing up to Rs. 2 lakh are categorised as retail individual investors (RIIs). 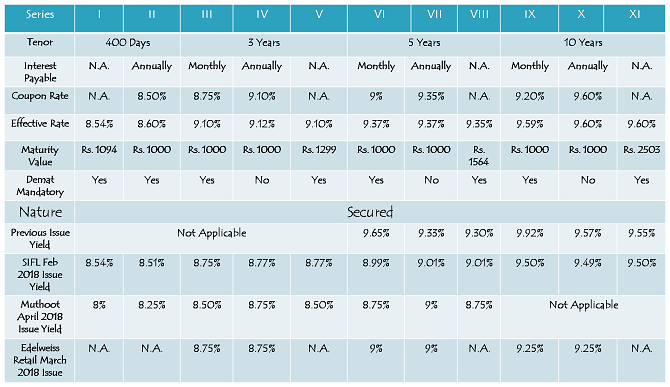 As a retail investor, you can apply for a maximum of 13 lots of 13 shares each @ Rs. 1,100 a share i.e. a maximum investment of Rs. 1,85,900. At Rs. 1,095 per share, you can apply for a maximum of 14 lots of 13 shares, thus making it Rs. 1,99,290. Listing – The shares of the company will get listed on both the stock exchanges i.e. National Stock Exchange (NSE) and Bombay Stock Exchange (BSE) within 6 working days after the issue gets closed on July 27. Thus, these shares are expected to get listed on the stock exchanges by August 6. I will update this post soon with HDFC AMC IPO Review. ECL Finance Limited, one of the finance arms of the Edelweiss Group, is launching its public issue of secured and redeemable non-convertible debentures (NCDs) from today, July 24, 2018. The issue will carry an effective annual rate of 9.85% for 10 years, 9.65% for 5 years and 9.45% for 3 years. The company aims to raise Rs. 2,000 crore from this issue, including a green-shoe option of Rs. 1,500 crore. The issue is scheduled to close on August 16, but in case of oversubscription, the company will have the option to foreclose it. So, before we take a decision whether to invest in this issue or not, let us first check its salient features. Size & Objective of the Issue – Base size of the issue is Rs. 500 crore and total issue size is Rs. 2,000 crore including the green shoe option of Rs. 1,500 crore. The company plans to use at least 75% of the issue proceeds for its lending activities and to repay its existing loans and up to 25% of the proceeds for general corporate purposes. Coupon Rate & Tenor of the Issue – As mentioned above, the company is issuing these NCDs for a period of 3 years, 5 years and 10 years. Moreover, these NCDs will carry coupon rates in the range of 9.25% to 9.85% with monthly, annual and cumulative interest payment options. There is a floating interest rate option as well, in which the interest rate will be reset on a periodic basis as per MIBOR. The company has decided to offer a spread of 2.50% over MIBOR with this option and the rate will be reset on an annual basis. Credit Rating & Nature of NCDs – CRISIL and ICRA have rated this issue as ‘AA’ with a ‘Stable’ outlook. Moreover, these NCDs will be ‘Secured’ in nature. Should you invest in ECL Finance NCDs? During 2013-14 and 2014-15, ECL Finance came out with three of its NCD issues offering 12.52% p.a. for 60 months, 12.68% p.a. for 70 months and 10.64% p.a. for 60 months. But, those were times of high interest rates and it seems the scenario has changed somehow. Corporate issuers are not offering high rate of interest now and that is a new normal these days. As none of the issuers in the recent times has offered 9.85% coupon, this issue by far is carrying the highest coupon rate. 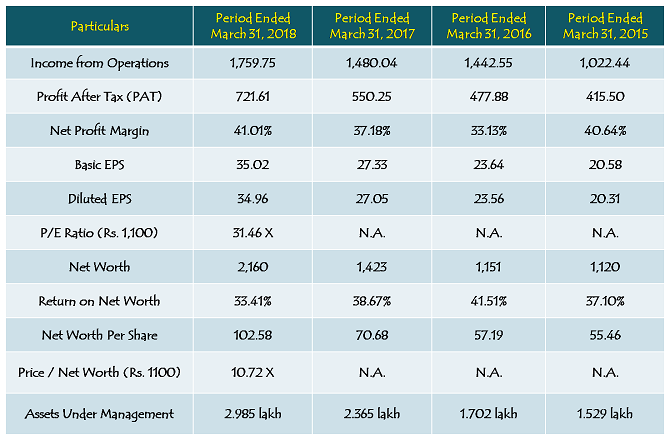 In March 2018, Edelweiss Retail Finance in its public issue of NCDs offered 9.25% for 10 years, 9% for 5 years and 8.75% for 3 years. So, ECL Finance is offering attractive interest rates relatively. But, then this issue is rated ‘AA’, lower than all the previous issues of the recent times. Edelweiss Retail Finance issue was also rated ‘AA’ Stable by CRISIL and ICRA. So, the conservative investors, who go by credit ratings of such issues, might prefer to avoid this issue and wait for a higher rated issue. You also need to make a decision whether you want to have a relatively higher rate of interest with a slightly lower credit rating, or just skip it and wait for a better issue. Investors, who fall in lower tax brackets and are looking for relatively higher interest rates to deploy their investible surplus, can think of investing in this issue. However, even if you decide to invest in this issue, I would advise you to go for a shorter possible duration and monthly interest payment option.